The Throw Away Dogs Project is ready to welcome Wildflower into our program. 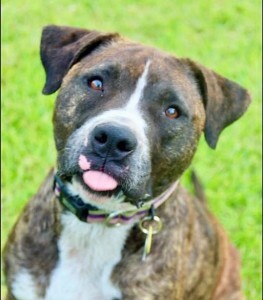 Wildflower will be the first Pit Bull that we will be working with. This will be an interesting and emotional journey as Full Circle Head Trainer Bruce Myers tries to give Wildflower a second chance and see if she has what it takes to become a Police K9. Stay tuned for fun updates on this “special project” that will be taking place in the near future!